Oh boy, Talladega is coming on Apr 28, 2019! So many amazing things are about to happen as part of the 2019 NASCAR races. We have the favorites, we have the dark horses, and they all compete for the same thingandquot; the ultimate first place at the 2019 GEICO 500 at Talladega Motor Speedway in Lincoln, Alabama. How can we compare the drivers? We have the previous stats and we can predict who could win this race. Let’s see. All those best all-time winners at Talladega are there to remind us of some great races. One of the best players in the game is definitely Brad Keselowski who showed some great potential in the past. We still remember 2009 and his epic win in his first ever Cup series. It was a finish for a heart attack and it was the moment when Brad really shined in the best light. He is the specialist at Talladega and he has some real skills. Great draft techniques give him the main advantage when things go serious. If someone is a master of the closing stages of the race, Brad Keselowski is the man. 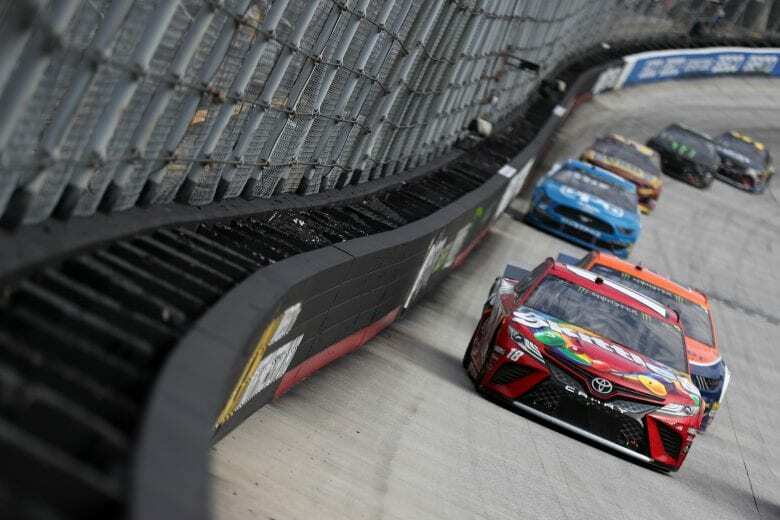 Another driver who deserves much attention is Denny Hamlin who has already won two races out of the six top five finishes. It all happened during the last eight Daytona 500 races, and we must say it is quite impressive. He is a strong contender, especially if we know that Hamlin was brilliant at the autumn race of Daytona 500. We should also mention his record at the ultimate Great American Race which makes him a great candidate for the first place at the 2019 GEICO 500 of the NASCAR Xfinity Series. Some of the drivers with great potential are in the game for the weekend. Clint Bowyer and his Ford team are ready for any kind of challenge. They proved it with seven consecutive wins over the past season, and all of them came from the combination of good equipment and decent knowledge about the tracks. If the luck is on his side, Clint Bowyer will make a good result. Bowyer’s teammate Aric Almirola is another driver who completes the Ford team in the best manner. He’s been part of five consecutive top ten finishes. It all happened this season, and it tells us he’s in the great shape. Aric Almirola is definitely someone who can make some tight and exciting wins on the track. Be part of the game and watch the 2019 GEICO 500 on Fox TV or listen to the stream on Motor Racing Network radio. We are there to see who’s going to be the next winner. NASCAR has never been more interesting and it is an honor to be part of this racing excitement. If you have your favorites, do not hesitate to watch them. See who deserves to be the leader this time. Autumn races are hugely important and the winner will gain a huge advantage in the overall NASCAR Xfinity Series this season.